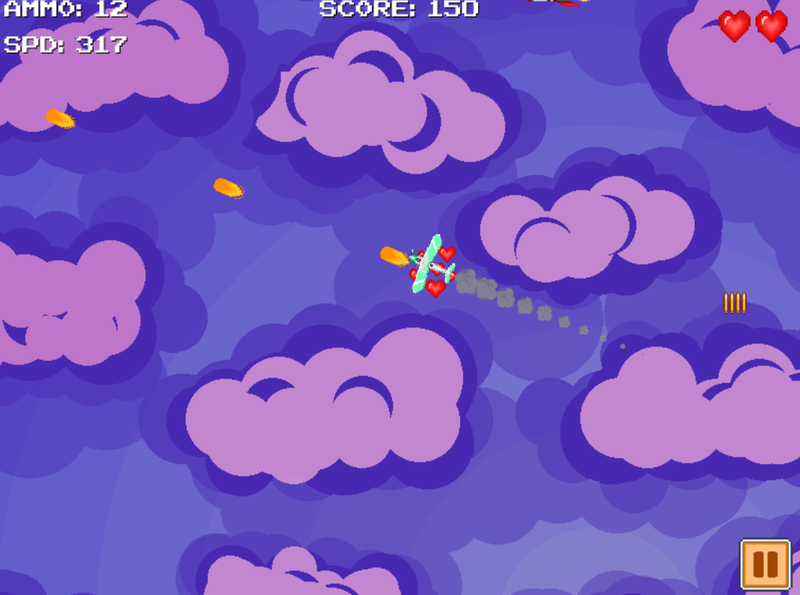 Frequent Flyer is a tribute to old-school shoot-em-up games with a modern twist. 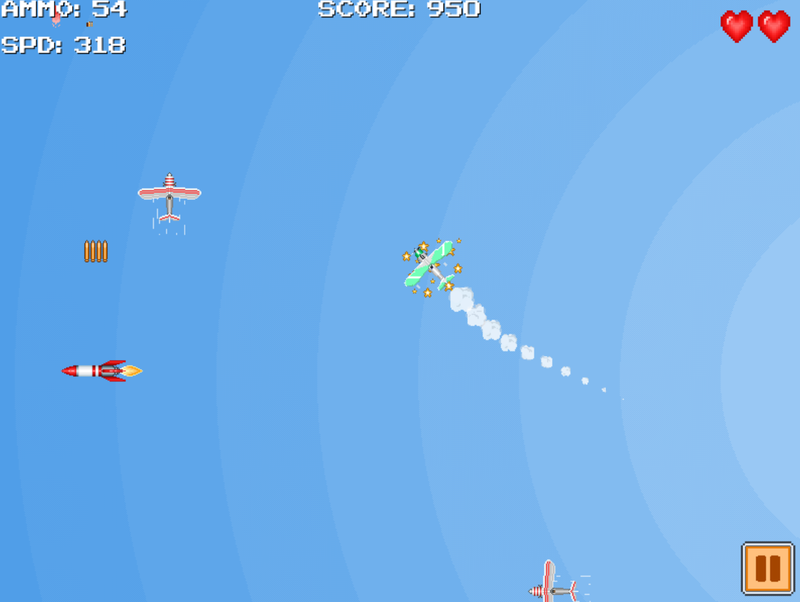 You control your plane and try to survive oncoming enemy waves for as long as possible. You collect health, ammo pickups and weapon bonuses to survive longer. As time goes, new threats appear. Right now we have 10 different planes and about 10 enemies planned. Fly 10 different unlockable planes, each with its own distinct features. As of now, the game is almost ready. We have 8 planes and 5 enemies ready. The UI is mostly done. We still need to add sounds (those are prepared, just not added to the game yet). By our estimates, it can take up to 3 more weeks to complete and polish everything. Planned Price: $0.99 (or local equivalent). That's right, under a dollar! We want our games to be played, the aim is to make games that are available to everyone. In our opinion, it's better to sell 100000 games for $1 than 10000 games for $10. Last time I've wrote about our release on Google Play market and the bullet update. Since that time, we've continued to listen for our readers and players. So we have a lot of new things to share with you! Firstly, we added a "Time attack" mode. The aim of 'Time Attack' mode is to gather time bonuses and kill enemies while the countdown timer is ticking. If timer reaches zero - the game is over. In this mode, the player has no lives (cannot be destroyed). Instead, the time is decreased on every collision with bullet or enemy. The only way to die is to reach '00:00' on countdown timer or fly outside of field bounds. Secondly, now Frequent Flyer has no borders in one of the modes, called "Infinite"! So you can fly as much as you wish and wherever you wish! Thirdly, we added some animations to make a better feel of the game. As was mentioned before all types of bullets were resized, now they are twice bigger. Some movement animations were added to enemies as well. And now it's much easier to understand what have you picked up, as we added animations to this action. We released our shoot-em-up game on Google Play market! Completely free! And we reworked some game elements. 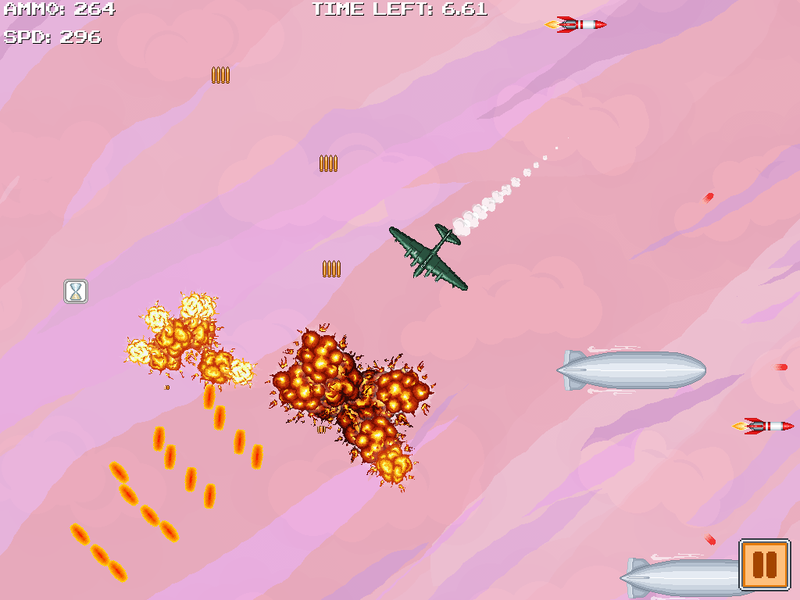 Frequent Flyer - shoot 'em up game available! Hello everyone! Here's an introduction to our new game - Frequent Flyer! Like airplanes, shooting and pixel art? Then try it for free!